let me say this first that your fan art is really amazing. i am not sure what hata sensei said but am sure he liked it. this article was in detail and so i enjoyed it even more. 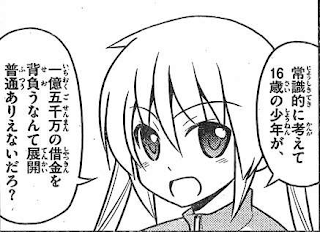 i agree with you there that hayate's behavior towards nagi is not consistent. but he has a lot of trust in her and he is starting to see that she is becoming more and more independent. about the bomb well it will happen real soon . i feel it will happen after hayate's birthday but i think we will soon get a time skip because now story is near its end and after bomb does go off we will be quite near Christmas. i know there are various loose end and all but i am sure even after time skip there will be enough time to wrap it all up seeing as it took 11 years just to get this far. but i may be wrong because as amazing as the bond is between nagi and hayate there is no mutual love so time is needed to swiftly work that out. 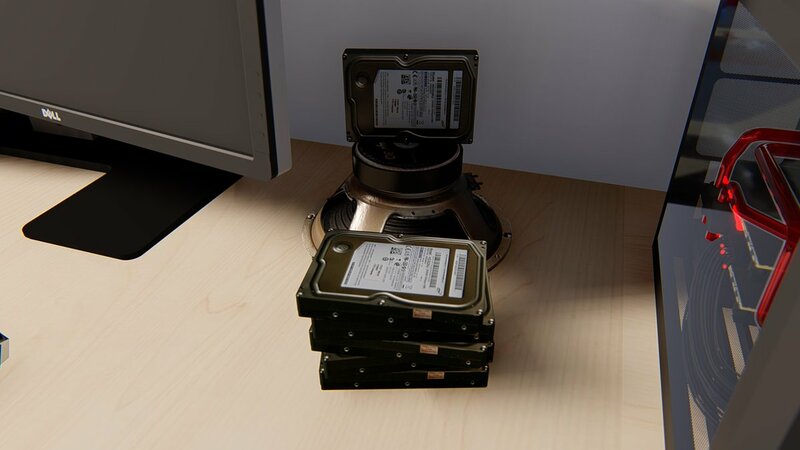 i am exited to see how hata gets them together after clearing all the confusion. Thanks for the comment as always. I'm rather curious about your theory, actually. 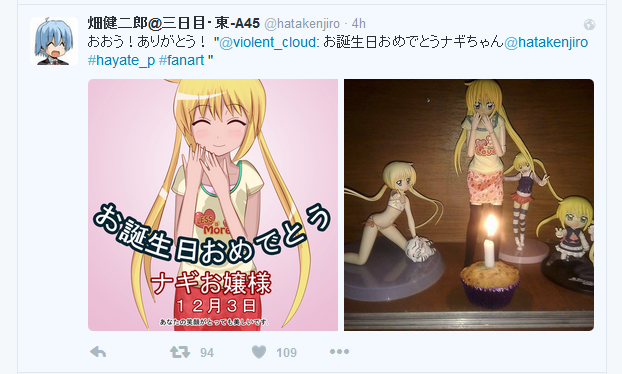 Why do you think that it will happen after Hayate's birthday (the bomb going off)? I feel like there's some logic to this as birthdays are very important within the manga. But... it could also go off sometime in October and then we'd have a month or so left until December during which lots of dramatic moments might occur. The text on my fanart says: Happy Birthday! Nagi Ojou-sama. December 3. Your smile is very beautiful. i dont have any thoery for this but if it happens before his bday then it will ruin the setting where nagi gives him watch as present and if all that drama happens now then it will take time to settle. and i forgot thanks for translating the text for me i cant read Japanese but i am thinking about learning it. I was just looking at Doughnut Gunso's blog and I saw that you were one of the ones who said Maria would be the final boss. For learning Japanese, try to get a basic idea of how their grammar works first and then memorize the katakana and hiragana (46 syllabications each). You can actually make do with just that if you plan to try picking up the Hayate manga. Can't give any advice on the kanji since I'm a bit iffy on that myself. i would not say she will be the final boss but she will take the center stage in end because although is main character but never has her character development like hina and atan. well she does have a tragic story and we know bits and pieces but the part about her relation with atan is what i am really curious about. and about the final boss it may be hisui but that option seems pretty obvious so i may be wrong. and i loved maria's entrance she was in one panel but stole the show and left everyone in awe. I think Hata-sensei is having fun with fans again. 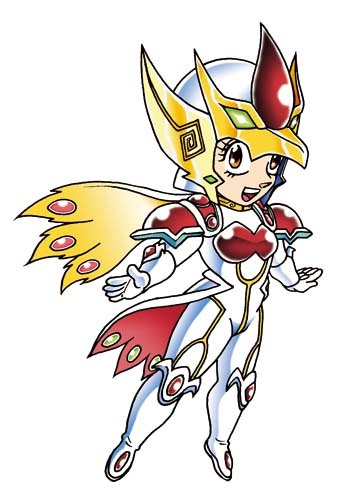 There's been this long running theory about Maria being the final boss. yes and that's what i like about this manga its really very unusual. i remember when fans were saying that it will end soon hata sensei also made a gag about that in the manga. its having elements of all genre. but maria'a entry was not unexpected as she was not seen for a while and we saw a lot of her in covers so i felt she was going to make a appearance. The funny thing is that we've actually mentioned that a few times before ourselves. Just as recently as ch. 511, I think. I started reading this manga after cuties because that season made me dumbfounded. i have not read all chapters mostly summary. Only recently I read chapter 292 where nagi tells him that she wants to do things on her own without relying on him. So hayaye is giving her space[ as we see in chapters from then on].but still could not resist spying on her.what really shocked me in chapter 293 is him saying that he is fine with crossdressing for nagi, dammit that kotetsu taking something like that and making it public. He is realizing that he wont be needed as a butler to nagi for long as he says to ruka whenshe asks him if he will be nagi’s butler forever. The reason he gives to hina is not the whole truth behind him not accepting anyone’s feelings.he knows if he does that nagi will be sad[ayumu ‘s confession]. He does not understand her feelings but vaguely does realize that there is something he is doing wrong. 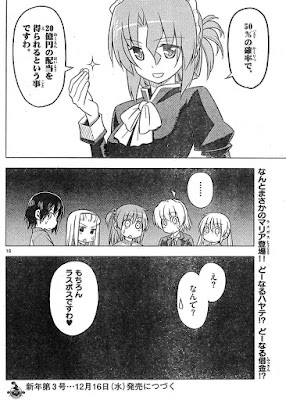 The final nail in the coffin was when hayate says those stupid things in chapter 510. Nagi was not sure about his feelings[ his reason for not accepting ruka’s feeling was he is her butler, and then him saying he ll make ruka happy and his overall behavior] after this when nagi finds out the truth it will be a severe blow. This is my take on his changed behavior towards nagi. What do you think?? At this point, I think Hayate still has a lot of internal emotional problems to resolve before he should even be thinking of "falling in love" again. I've said this before, but IMO, he is much more naive than Nagi when it comes to matters of the heart. At least Nagi understands clearly what she feels and we are always shown what she is thinking. On the other hand, we can never tell what Hayate might be thinking because he tends to either lie about his own feelings outwardly or in many cases, I feel that he himself doesn't fully understand what he feels. He still doesn't have a clear concept of exactly "what is love?" to him personally. Like you said, he knows that he's doing something wrong, but because he doesn't actively try to figure out what it is exactly, he remains mostly oblivious to the feelings of those who care for him the most. He has a certain inward apathy that's not apparent immediately, but it's like he has trouble forming an actual, deep connection with someone and easily "falls in love" with any cute girl who shows some interest in him and who passes his criteria for a "romance-able partner." I believe that these are the mental blocks that Hayate himself has put up that currently prevent him from considering Nagi as a romantic prospect. Yet, Hayate himself can't fully understand exactly who Nagi is to him -- and this is what makes their relationship interesting for me. He's declared that she is his "life," but the real meaning of those words are known only to him -- and we can speculate for as long as we can about what he REALLY meant, but we'll never truly know for sure unless Hata chooses to tell us at some point. In any case, this is one reason I'm on the Nagi x Hayate ship. Many people would like him to end up with Athena because it's an ideal, romanticist version of "one true love." 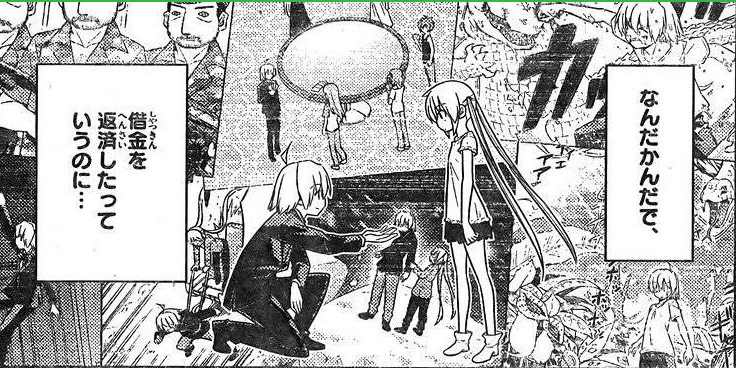 Personally, I think it would be even better to have him end up with Nagi because there are so many apparent impediments to them ending up together within the Hayate universe, but for them to end up together despite these impediments would lead the reader to question and redefine their concept of exactly "what is true love?" I don't subscribe to the idea that there needs to have been some mutual romantic tension in-between the two of them littered throughout the story for it to be justifiable that Hayate could fall fin love with her. Like I said, we don't really have that deep of an insight into Hayate's true feelings, so all that he would need to do is to use like a single chapter for self-reflection and look at everything that he and Nagi have been through throughout the manga -- that's when he might realize that perhaps, she could be a good romantic prospect for him -- if not now, then in the near future... like a year or two from the current timeline, really. i agree the reason he is not considering nagi is because she is younger and he respects her so doesn't want to be rude. he also had confidence issues but after the confession from ruka he is starting to see that he is likable and he wants to fill the void in his life even more. he wants to fall in love and its a good start as a human he also has think about his happiness. and he does see nagi differently although he never reflects on it in silky heart he says atan is different from rest but in his thought nagi wasn't there and also in chapter 264 when he described nagi to atan it was funny yet showed that he adored her the way she is. when he says she is difficult even atan felt there is something more than what he is expressing. i have to be honest i like atan she is also quite similar to nagi. but there are things about atan like the punishment games and even her behavior in some chapters make her look like a sadist. but that is not really an issue she is still a nice ship. atan and quite capable. the thing about hina is that to some extend i feel she is not as serious about hayate she likes him[chapter 509 she did not have negative emotions] because he is kind and was also pushed a debt by his parent[ just like her] but neither she nor atan will be as affected by losing him as nagi. the reason i liked nagi and hayate ship was because the way they met. i loved the first episode .i like nagi's flaws and her desire to learn from past mistakes. she is improving.i feel she is normal although we give that title to ayumu but still. hayate will see his true feelings near the end when nagi matures a bit more until then their relationship will look unlikely. 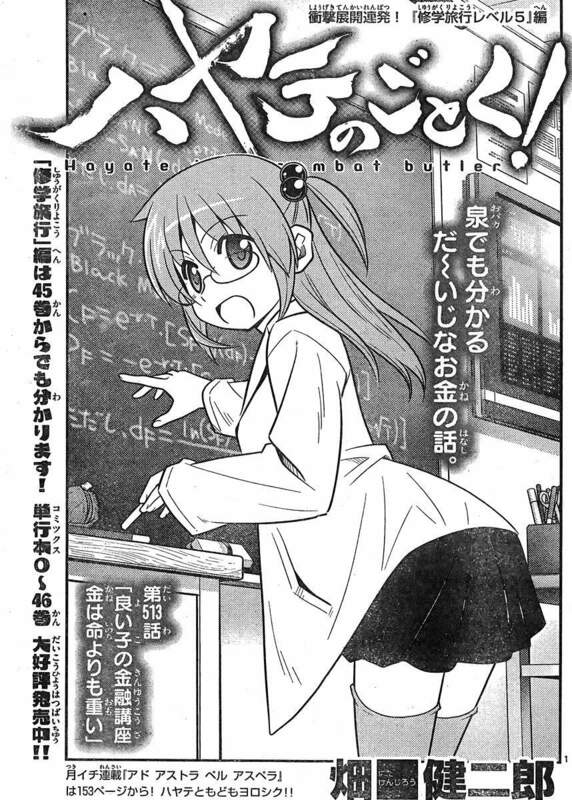 in the end the manga is about nagi and hayate. So Nagi finds success in doing things the way you would expect a normal person without any talent to do find success. No matter how hard you work, your ability level won't just shoot up exponentially after all -- but that doesn't mean that you can't find some measure of success at your own level -- even just a moral victory, which is how I saw her "winning" the contest against Ruka. The contest was really just a tie, but for Ruka, it was Nagi's victory because (my interpretation) Nagi's desire to win was fueled purely by her feelings for Hayate while Ruka was really on two ways at that point. She did have feelings for Hayate, but she also didn't really want to give up her idol career (even though she said she was just doing it to repay her debt at some point). This is also another example of why we can't really trust what people say about themselves in this manga -- their characters are usually much deeper than what we are shown. yup ruka saw that hayate was not serious about this. he would not quit being butler and so she cant have a stable relationship. hence she purposely lost.but she subtlety let hayate know this by telling him her sales collection. nagi definitely has talent. kayura who is good with mangas also saw this but the problem with nagi is she is stubborn the solution is there but she would not see it. its her nature.so she will face a lot of hardships before getting even close to her goal. Haha! Thanks! That's the second time, actually. He also retweeted the fanart I made for the 10th anniversary chapter release.